Here we go again! 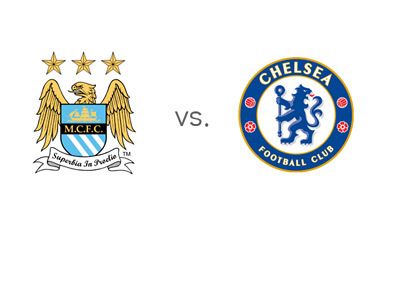 After losing to Chelsea twice in the league this season, Manchester City will try and make things right on Saturday, February 15th, 2014 when they host Jose Mourinho's men again in the FA Cup round of 16. This is a one-game-knockout tournament and the winner will advance to the next round (unless it's a draw, in which case there will be a replay). The question is if both teams will field their strongest lineups, considering that Chelsea played a mid-week EPL game and Manchester City are to face Barcelona on the 18th in the Champions League. Probably not, nevertheless, this could be a great game! After demolishing Tottenham 5-1 at the end of January, Manchester City lost to Chelsea at home 0-1 and followed that with a 0-0 draw vs. Norwich. The team could use a win next to get their morale up before they host Neymar and Messi on Tuesday. Manuel Pellegrini must be happy that Samir Nasri, Fernandinho and Sergio Aguero are returning from injury and training with the squad as they were greatly missed. It will be interesting to see if any of them will be in the lineup vs. The Blues. Jose Mourinho and Chelsea were filling the headlines last week after beating Man City at the Etihad and leapfrogging to first place in the tables. They followed that up with a, less impressive, 1-1 draw vs. West Brom on Tuesday. The Chelsea team that outplayed City last week featured the strongmen, newly signed Nemanja Matic and David Luiz in central midfield, while Hazard, Willian, Ramirez and Eto'o chased the ball up front. What strategy (and line-up) will 'The Special One' come up with for the FA Cup game? Is Fernando Torres going to play? Who will be on goal? Manchester City are the favourites to win, according to the odds. Aside from losses to Bayern Munich and Chelsea, they have been a powerhouse at home. There is a bit of a war of words going on between Manuel Pellegrini and Jose Mourinho these days. This adds another layer to this, already exciting, matchup. The two battled in the Spanish La Liga before this season, while in charge of Malaga and Real Madrid. Manuel Pellegrini has beaten Mourinho only once! This could be a good one. Tune in if you can! The kick-off is at 5:15pm local time.